/ Modified jul 16, 2018 11:54 a.m. 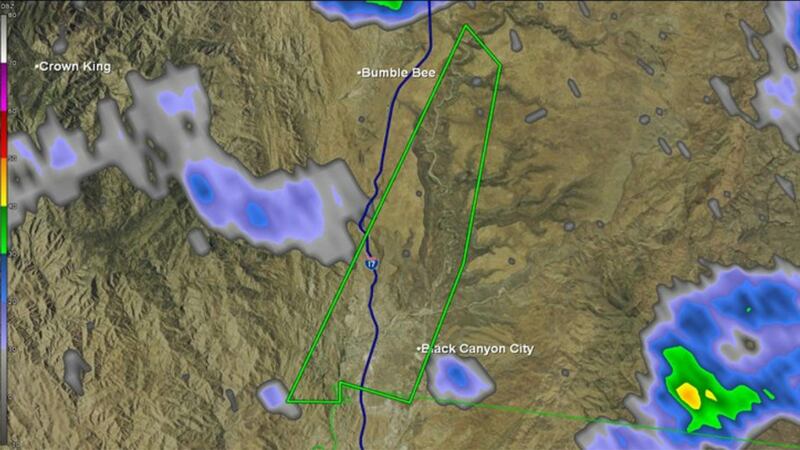 Image released on the National Weather Service Flagstaff Twitter account for a flash flood warning Sunday night. Residents of Flagstaff are dealing severe flooding after a strong storm hit the northern Arizona city. The National Weather Service issued a flash flood warning for area around the city through Sunday night, and some parts of Flagstaff received more than an inch of rain. That has caused multiple vehicles to be stuck in water around the city and knocked out power to some traffic lights. Arizona Department of Transportation officials say the rain caused flooding along some of the roads in and out of town.